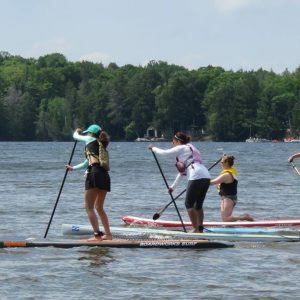 Stand Up Paddle (SUP) boarding is one of the fastest growing sports in the world. 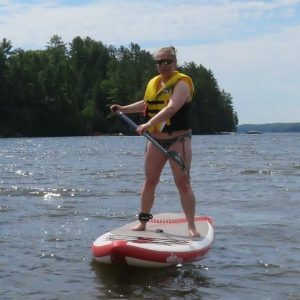 Its popularity isn’t surprising considering the benefits: easy to learn; a relaxing way to get a full body workout; a dynamic balance challenge; accessible to all body types, ages and athletic abilities. 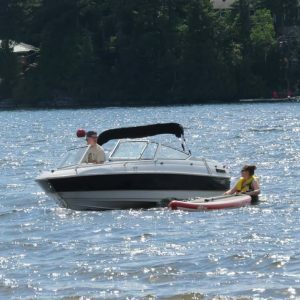 And it’s even more fun when done with others! 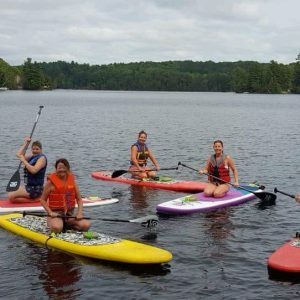 Since it’s a new sport on Chandos Lake, why not organize a meet-up with other paddlers and spread the word on the CLPOA Facebook Group. 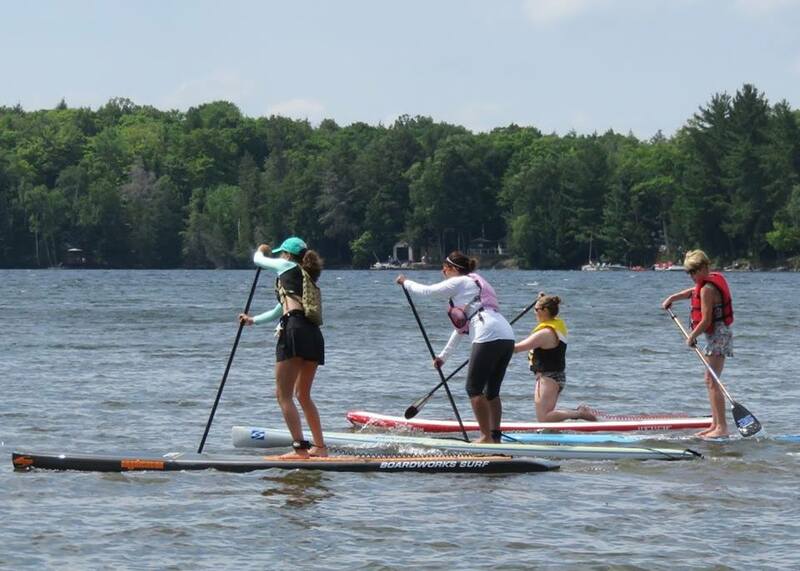 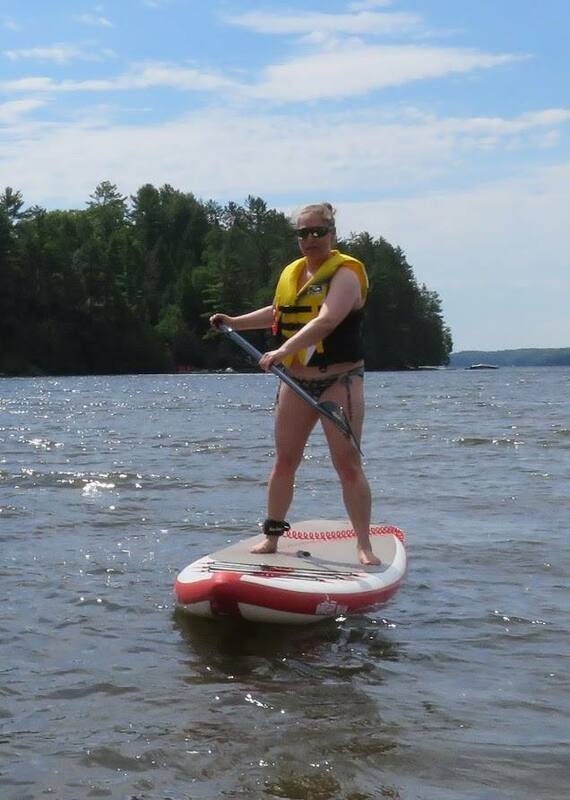 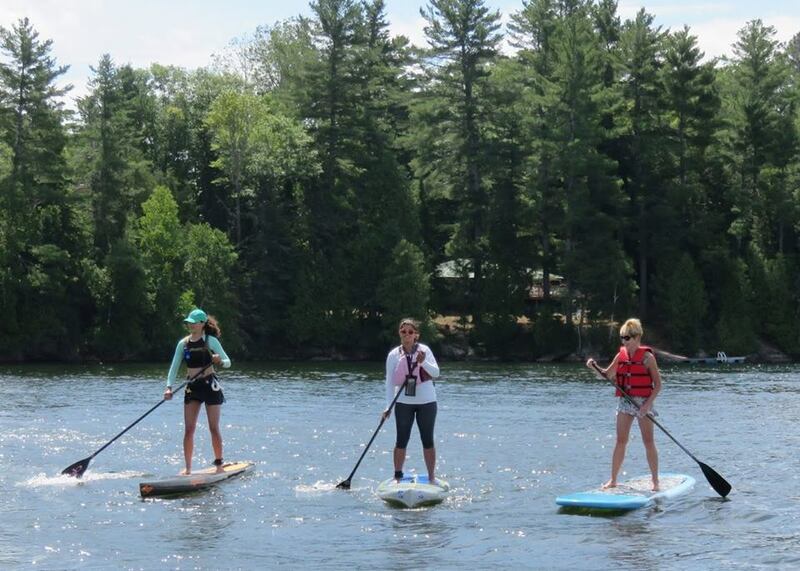 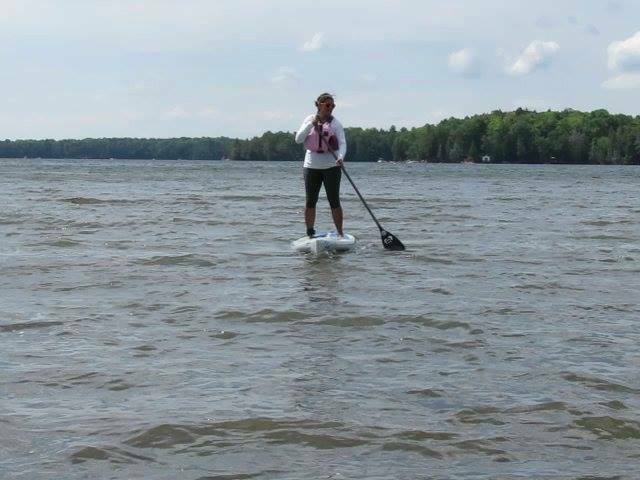 Post lots of photos and send them to Elaine Bowers for the SUP Photo Gallery. 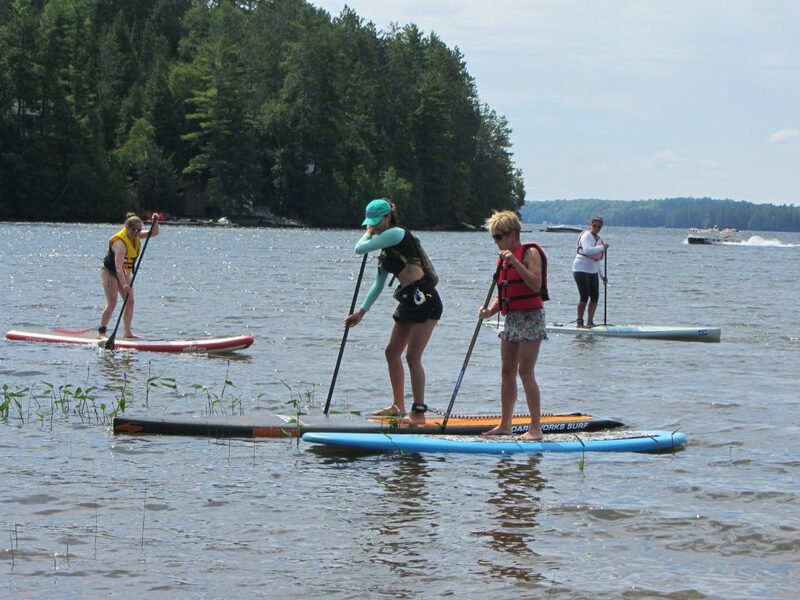 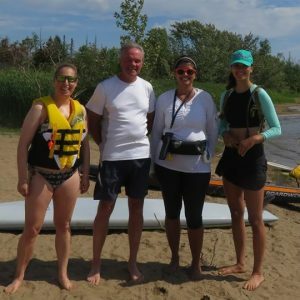 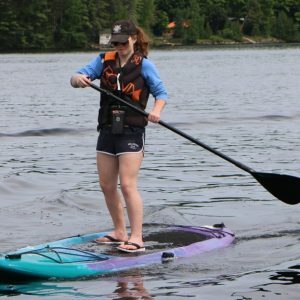 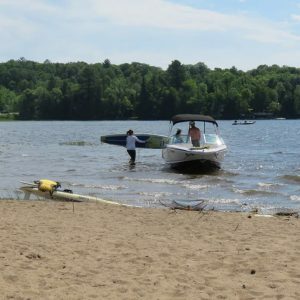 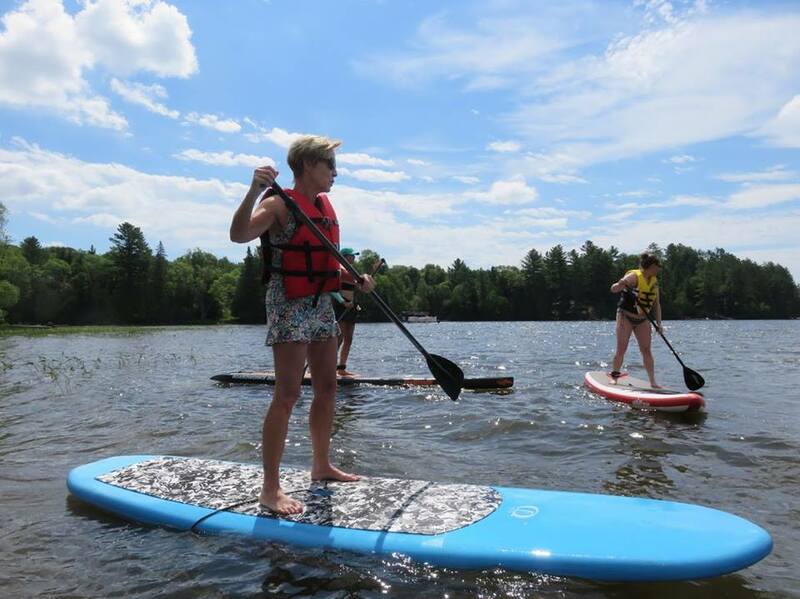 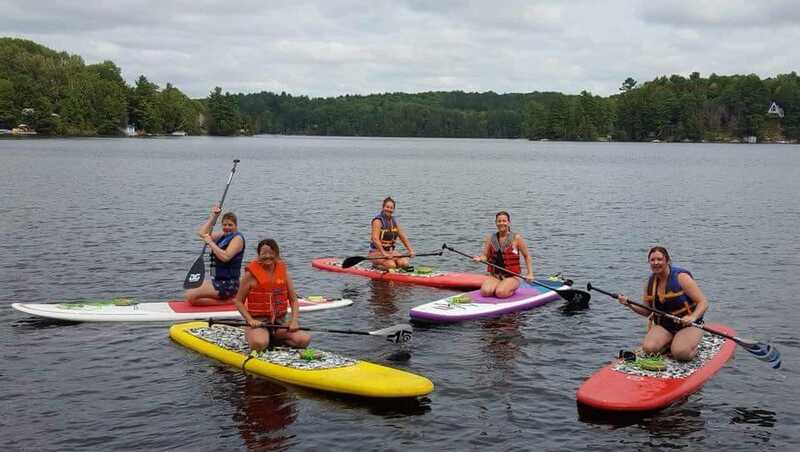 A unique annual kick-off to the paddle season on Chandos Lake, combining an invigorating paddle with a delicious Brunch, that is open to everyone whether you use a canoe, kayak, rowboat or a SUP board. 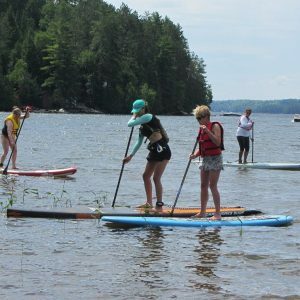 Learn correct technique and safety while having fun. 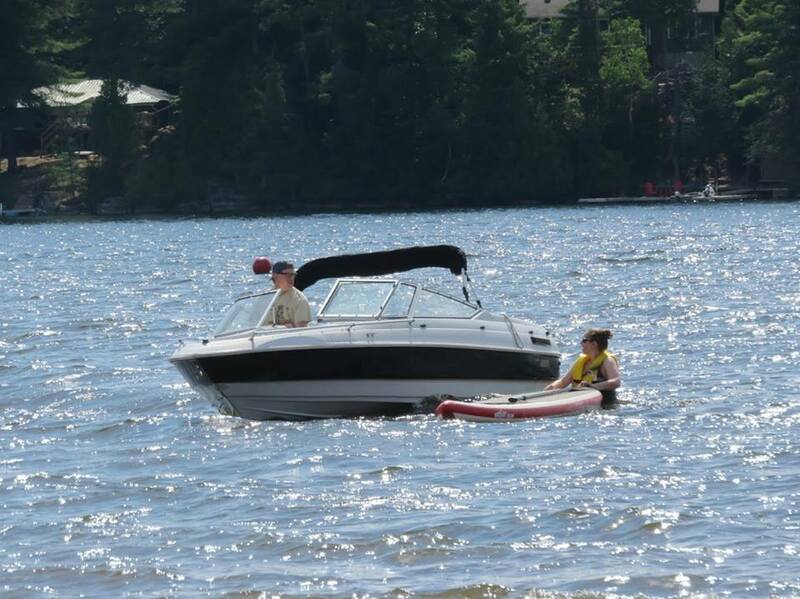 Contact: Elaine Bowers at bowersfamily04@rogers.com or 905-699-9946. 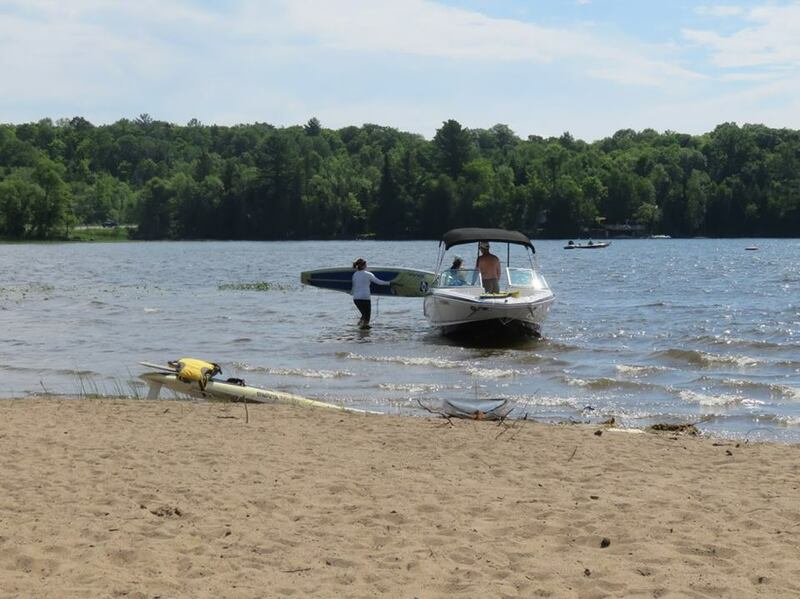 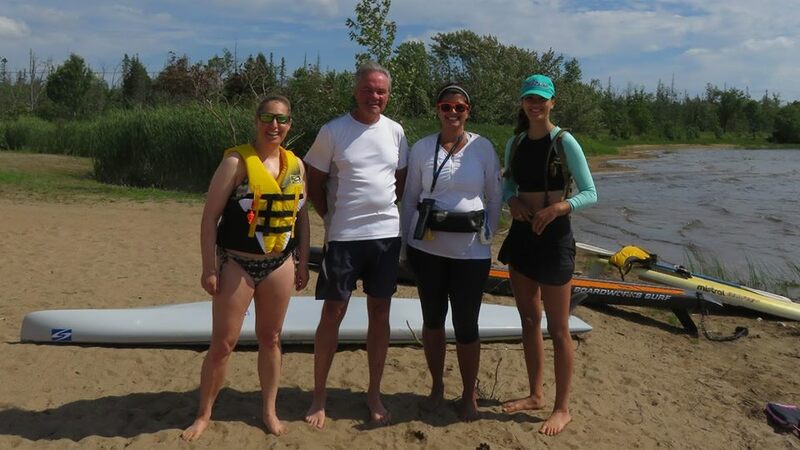 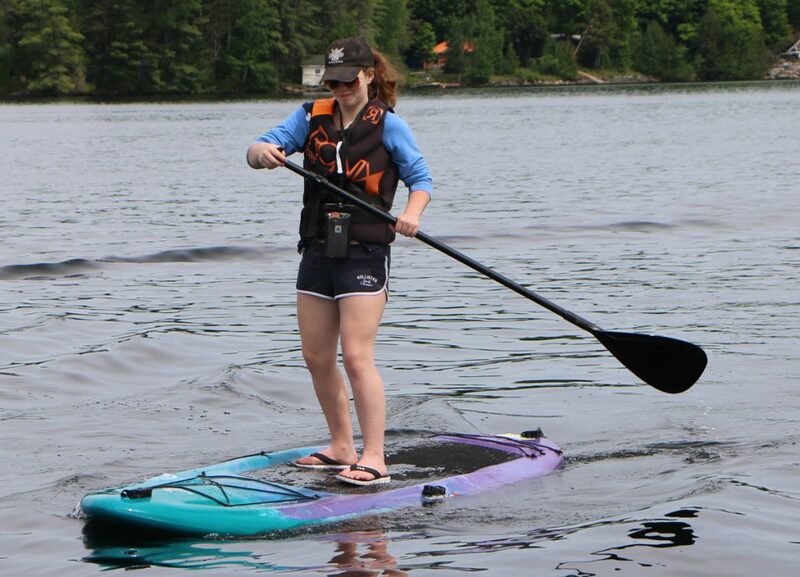 Safety First – Be sure to tell someone your potential route and always wear a PFD (personal flotation device) or lifejacket of an appropriate size, bring a whistle and have a tow line separate to your ankle leash. 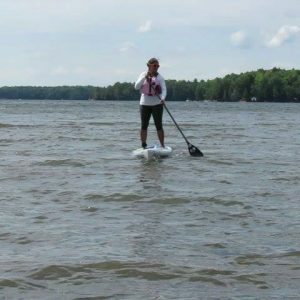 And if you’re paddling after sunset or before sunrise or in periods of restricted visibility, carry a watertight flashlight.